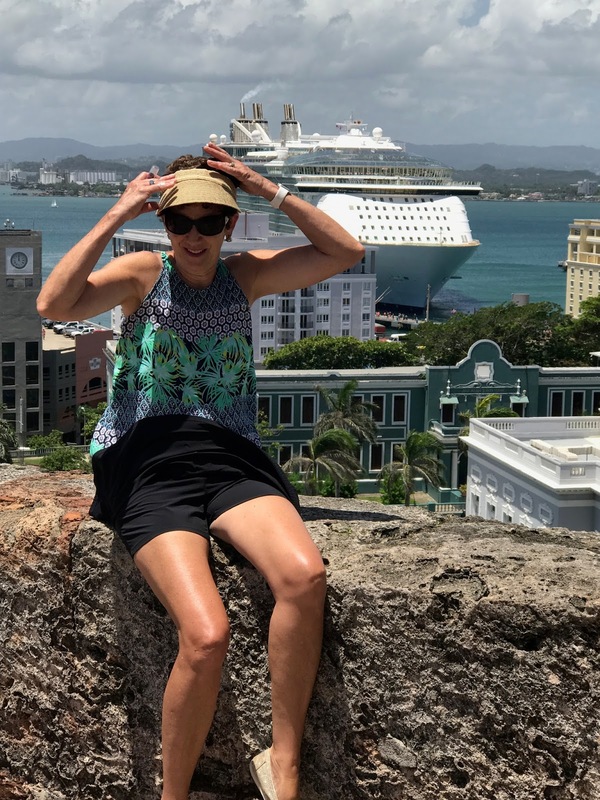 One of the hardest aspects of visiting new places via cruise ship is the often incredibly short amount of time allotted to a shore day. Yesterday was a prime example. 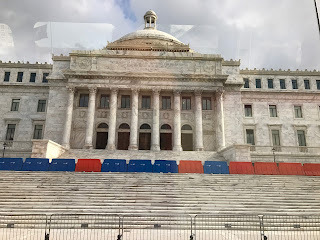 We arrived in San Juan about 7AM and had to be back on the ship by 1:30PM. By the time we got off the ship it was almost 8AM and we were in the line to board by 1PM. Five hours to explore San Juan is not nearly enough. 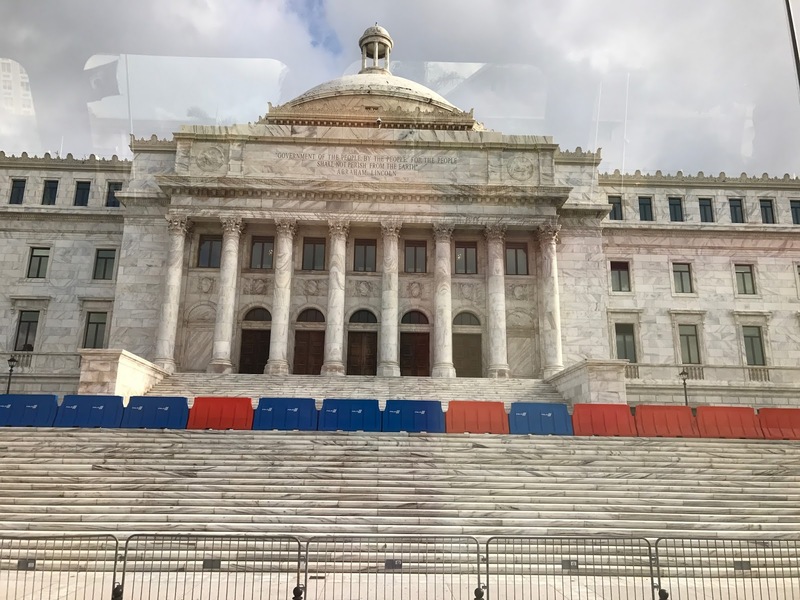 We met more than one person who told us that a minimum of one week is requires to visit San Juan and Puerto Rico just to get oriented. I believe them. The ship docked near Old Town San Juan and since the shops and sights don't open until closed to 10AM we took a two-hour bus tour to get a general overview of the city. We saw same of the great sights and at the end of two hours were deposited in front of one of the forts that makes up the defense of the Old City. I love forts. 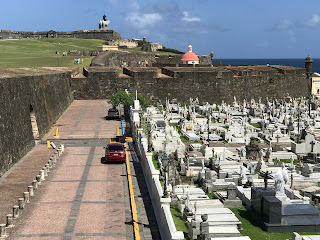 We walked from Castillo San Felipe del Morro, which guards the harbors by being strategically places on the hill above the entrance, into the Old City for a shopping break and wound up at the other fort, Castillo San Cristobal, to end our visit to San Juan and Puerto Rico. It was much too fast! But it was a great morning. We also purchased some trinkets and made good on a hot sauce promise for family. 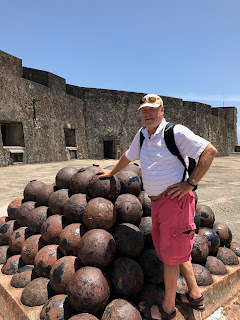 There is so much more to see, but I really enjoyed the forts and was amazed to learn that during the high period of the fortifications about 2,000 troops would have been garrisoned. The first were each constructed for about 800 troops and the remainder would have been housed in town. There were some ferocious battles fought over San Juan between the Spanish and the British and the Dutch. It was a great and fast day. Being back on the ship by 1:30PM meant we had a long afternoon to enjoy the memories made during the morning. Today, we are onto Labadee, Haiti for some relaxing, I hope, beach time.